Wow! Did I ever have a productive week of reading/reviewing (I must be procrastinating about something). 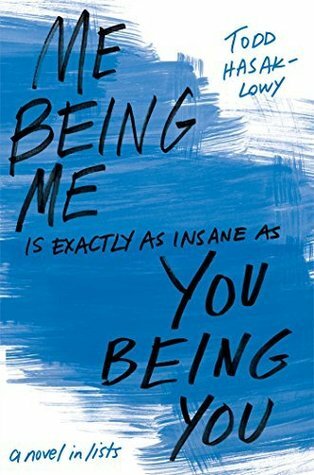 I enjoyed this book but my heart didn't fall for it as much as most other people. Simply beautiful. 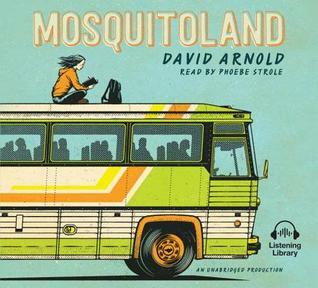 A must-read for anyone who loves children's literature. An instant classic. 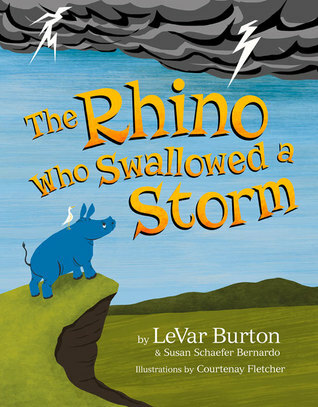 LeVar Burton, the longtime host of the popular kids series Reading Rainbow, tackles the difficulty of talking with kids about tragic events in The Rhino Who Swallowed the Storm. 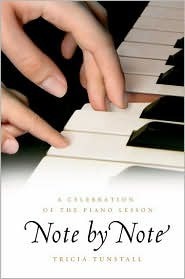 When tragedies happen in life, Burton believes that the way to help children through them is through story. 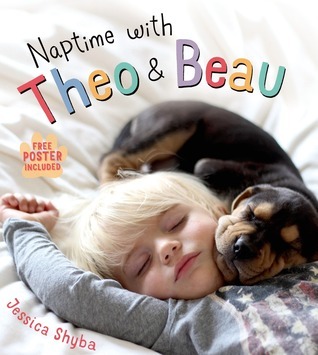 This is Burton's first foray into authoring a children's book and in a way, you can tell. It does comes off a tad heavy-handed, but at the same time, it also feels like it's coming from a heartfelt and genuine place. 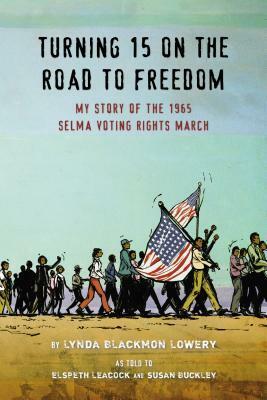 Perhaps I would have given this book a harsher review had I not heard him read and talk about this story at ALA Midwinter in January, but knowing where his heart was in writing this book, I internalized that as I read it. I got the ARC of this YA novel at ALA Midwinter. It's really thick, coming in at a whopping 642 pages, but since it's a novel in lists, many pages don't take up that much text-space. There's quite a bit of white space on the pages, so it's comparable reading an Ellen Hopkins novel in verse. At this point the analogy I can make to a novel in lists is like when restaurants create dishes and call it "_______ deconstructed." That's what this novel in lists feels like right now. A novel deconstructed. Time will tell if it becomes too gimmicky or if there's some actual substance here. At this point the jury's still out. I really enjoyed Red as well. I loved the Einstein quote! I've got Home on my to read list. Thanks for sharing. 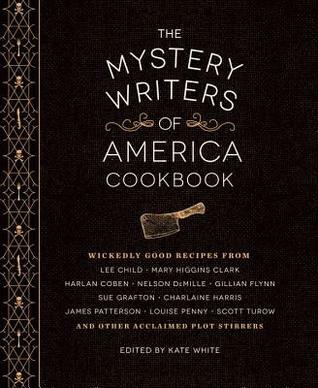 Wow - you have some great books on this list! 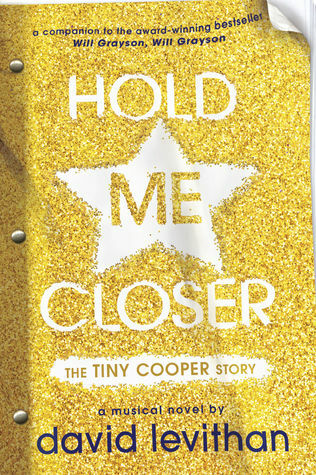 I'm excited to read Hold Me Closer. I loved Will Grayson, Will Grayson. I thought All the Bright Places was a tough one, but I LOVED I'll Give You the Sun. I'm going to look for HOME. I saw that one on another blog post, too. I enjoyed Red very much, have ordered Magic Trash from my library. I have a student who will love it. He's always inventing & tinkering with 'stuff'. And, still need to read Jandy Nelson's I'll Give You The Sun. So many have talked about it positively. Thanks, Beth. How I loved Home! I need to order Red this week. Me Being Me looks quite interesting. I like alternative formats, though 600+ pages for a novel in lists seems a bit much! 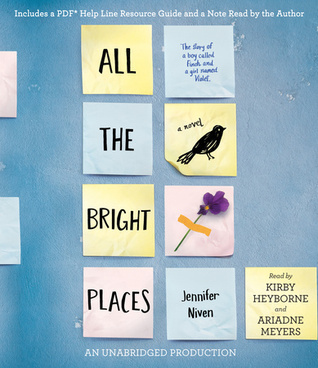 Thanks for letting me know that All the Bright Places is available as an audiobook! I've just reserved it. Now I hope that it isn't one of those books that is better read with ones eyes. I've just finished I'll give you the sun. It will be interesting to read what you think of it when you are done. 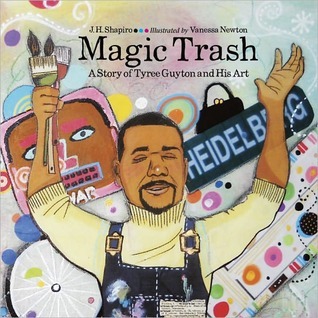 Magic Trash: A Story of Tyree Guyton and His Art, is a book I want to get my hands on for our library I think. I always enjoy getting author's backstories on their books, it almost always gives me a different perspective! We haven't read Red or Home but they are on our list now. So many people love those books. I'm glad Hold Me Closer was not a disappointment. I keep meaning to get to I'll Give You the Sun. I've heard so many positive things about it. 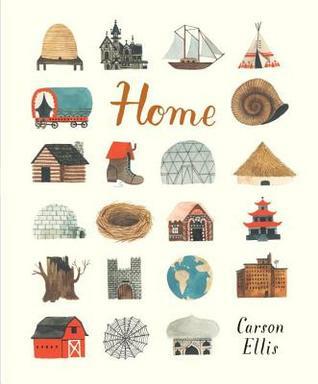 Loved Red and Home. 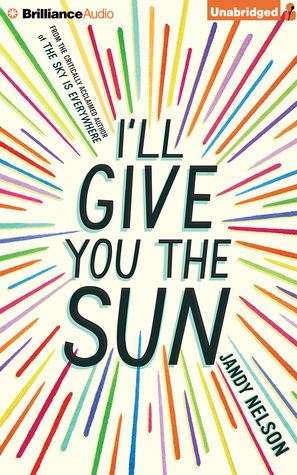 Hearing great reviews about I'll Give You The Sun so I've starred it on my TBR list! The Rhino book looks like it would be a good one and I love the cover of All the Bright Places - have not heard too much about this book but everything I hear has been positive. Interesting to see you didn't love it as much as others. I have a new food PB on my post today that you might like called Eat, Leo! Eat! I am also reading a Jandy Nelson book this week (The Sky Is Everywhere) and I am quite enjoying it. I'm intrigued by I'll give you the sun. I'd follow it through with All The Bright Places - I am thinking that they'd make a good companion text. 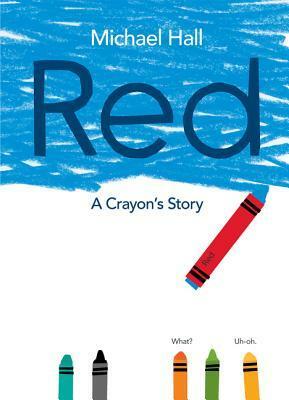 Red was a good read. I love the love Home is getting!